Fry. The village of Fry is the capital, the administrative center and the only port on the Greek island of Kasos. The village, with no more than 400 inhabitants, was founded in the year 1840 by residents of the mountain village of Agia Marina. Fry is located in the bay of Bouka. There are two beaches here, Emporios and Kofteri. The houses in the village are built in traditional in style and usually consist of two floors. There are many monumental buildings, such as the old town hall, with archaeological and historic objects. In the village are many restaurants, cafeterias and traditional kafeneions. • The church of the patron saint of Kasos, Aghios Spyridon, which was built early 1900. • The picturesque fishing harbor of Bouka. 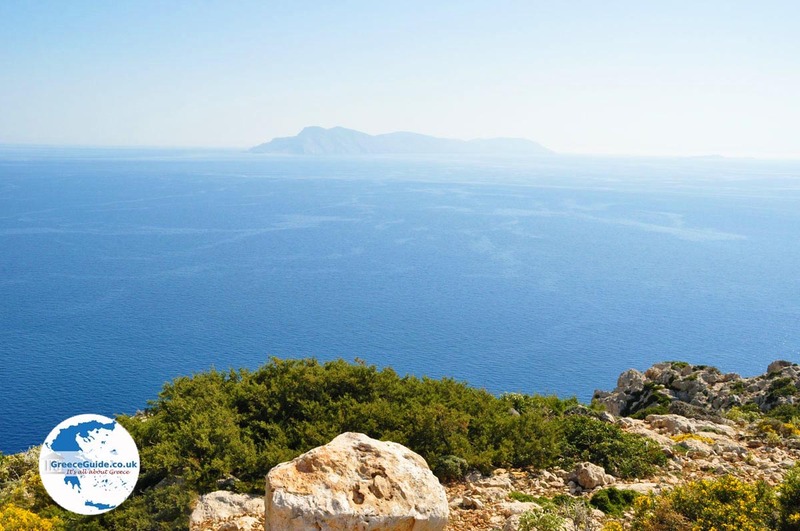 • The beach of Aghios Konstantinos, two kilometers (just over a mile) southwest of Fry. Each 6th and 7th of June, festivities in Fry commemorate a battle between the Greeks and Turks that took place here. 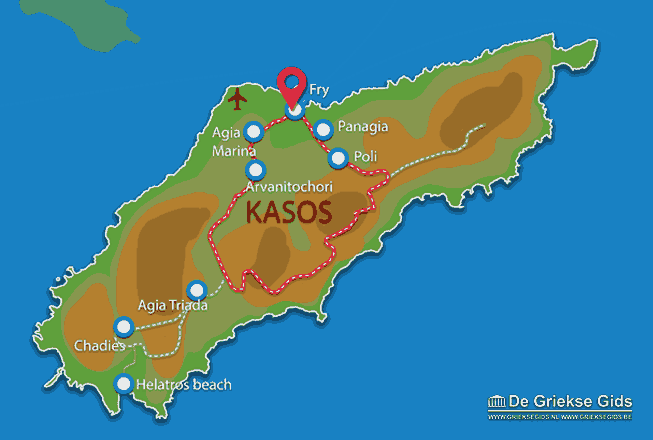 Kasos: Where on the map is Fry located?